One of the most elegant and timeless modern table lamps in our collection. Simply beautiful! The perfect table lamp for an end table, entryway console, credenza or use a pair for your bedside tables. With the Eero Table Lamp, the designers Ludovica and Roberto Palomba give tribute one of the greatest architects and designers of the 20th century: Eero Saarinen. 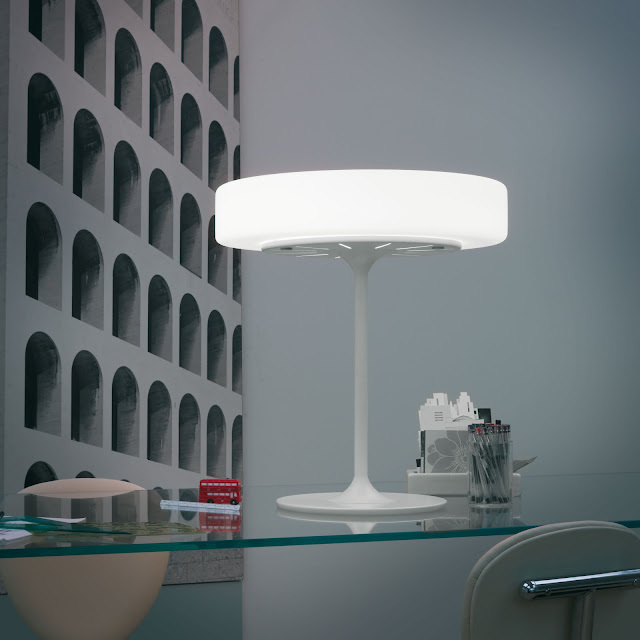 The Eero table lamp is a modern take on the elegant Tulip furniture which made Eero Saarinen famous. 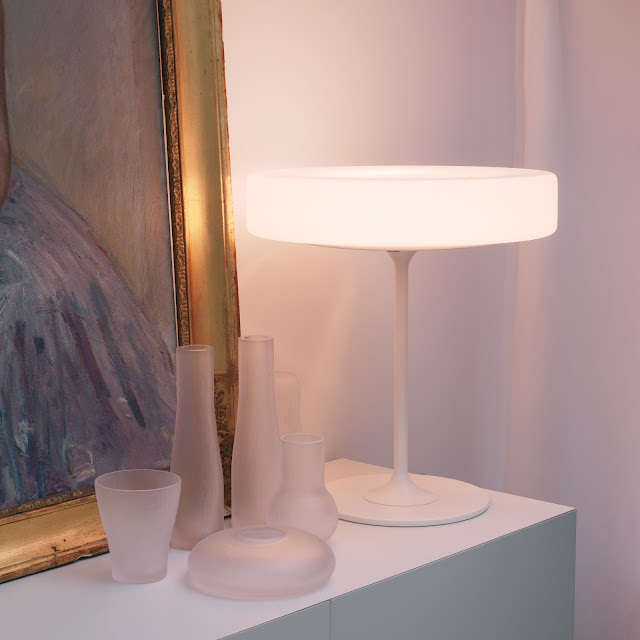 The Eero table lamp was designed by Ludovica and Roberto Palomba for Kundalini in Italy. 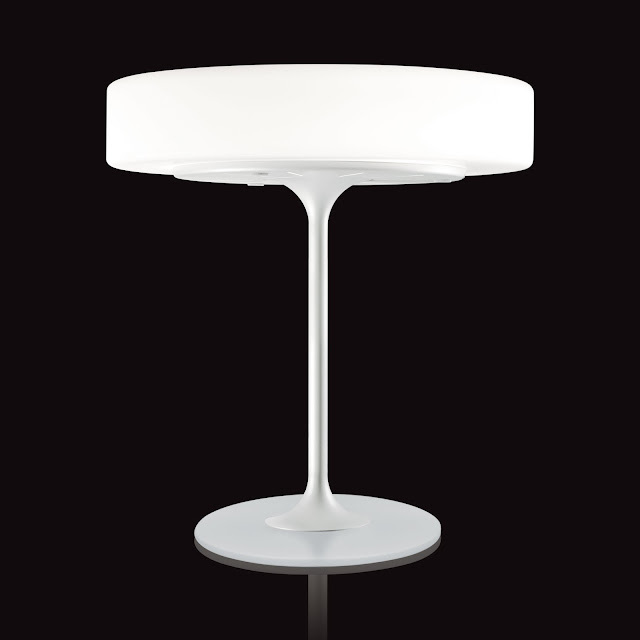 This ultra modern table lamp has a structure in white painted metal, with a shade in mouth blown acid etched glass. The frosted glass shade creates a soft diffused light. This beautiful modern table light, with its attractive and slender tapered stem, will compliment any interior space. One of our favorite table lamps!